The Winterthur Garden is busy preparing for its first outdoor exhibition, Follies: Architectural Whimsy in the Garden, opening April 1, 2018. 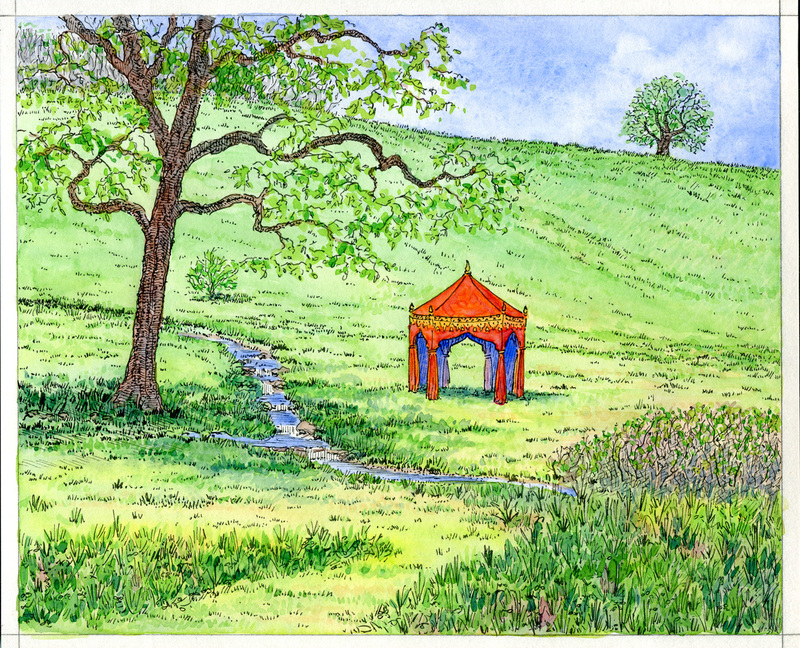 We are creating 7 new follies, or garden structures, that one might find in an historic landscape. 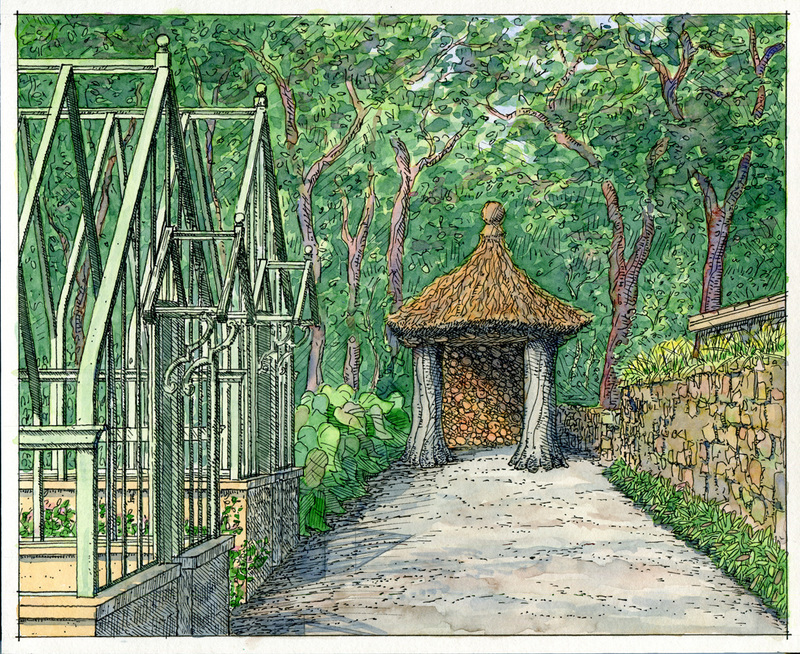 These new features will be threaded between the follies that H. F. du Pont placed in his garden and will allow us to better highlight the stories behind our historic structures. 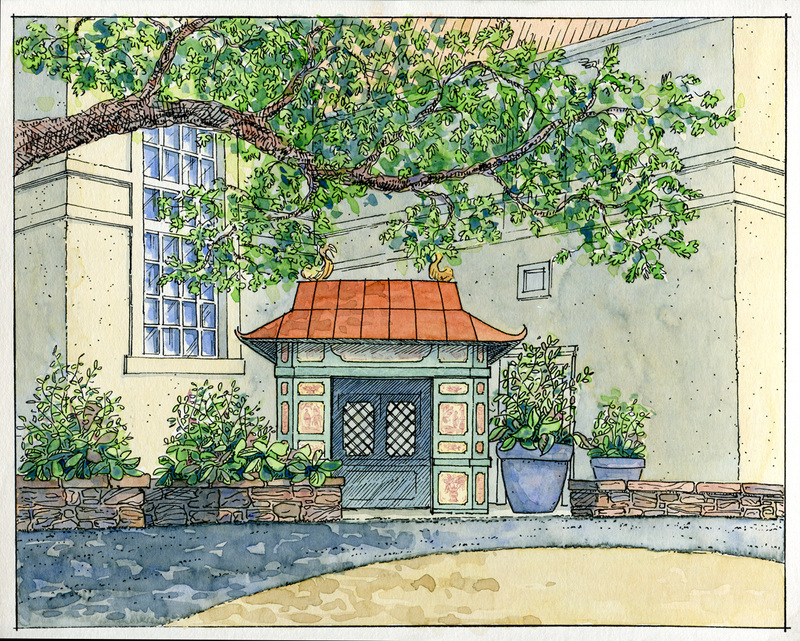 The Chinese Folly is being created off site and will “magically appear” in its new home near the West Galleries later this fall. 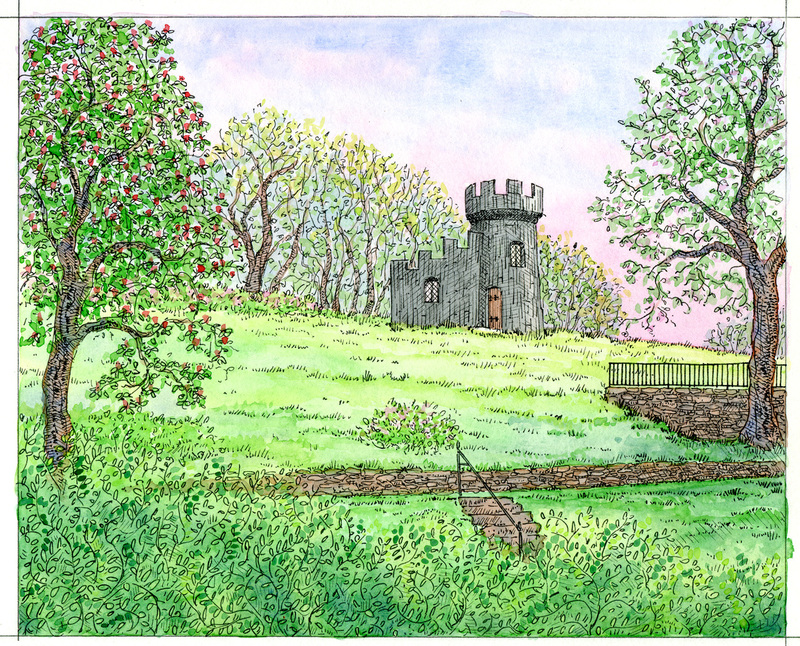 The Green Folly has been under construction on site at the end of Greenhouse Lane. 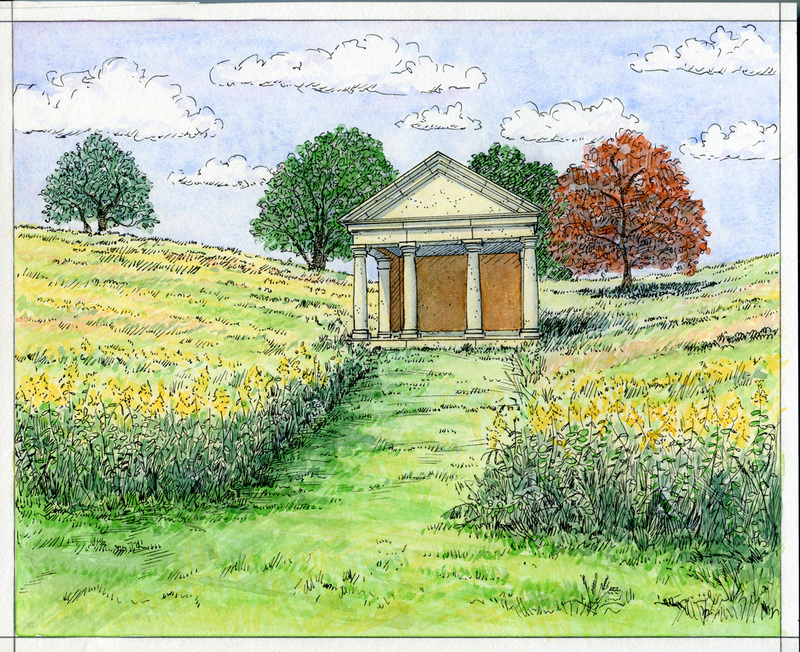 The Neoclassical Folly stage is set and on the brink of construction. You may have noticed the mowed path and circle in the field outside of Magnolia Bend for a bit. 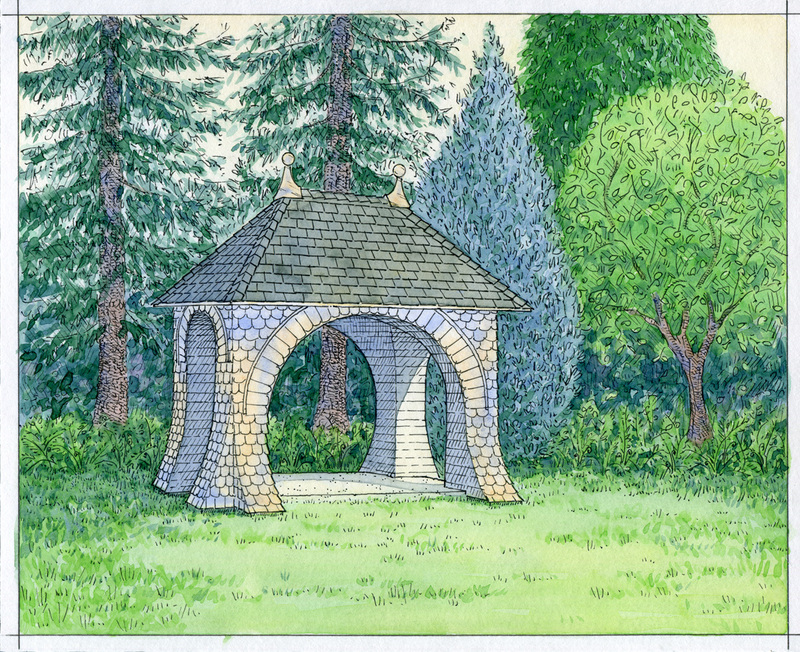 The footing outlines for the Mirrored Folly are in place outside of the Pinetum. Decking will appear this fall with the construction of the actual folly taking place off site. The top portion of the frame for the Ottoman Tent has been on site below the Quarry Bridge marking the placement of the footings. Decking will occur this fall with the tent-covering happening closer to opening day. The footprint of the Gothic Tower on Oak Hill has been placed in the lawn with footings coming soon. This, along with the Green and Neoclassical Folly will be ones that we will be able to watch come to life during their respective constructions. 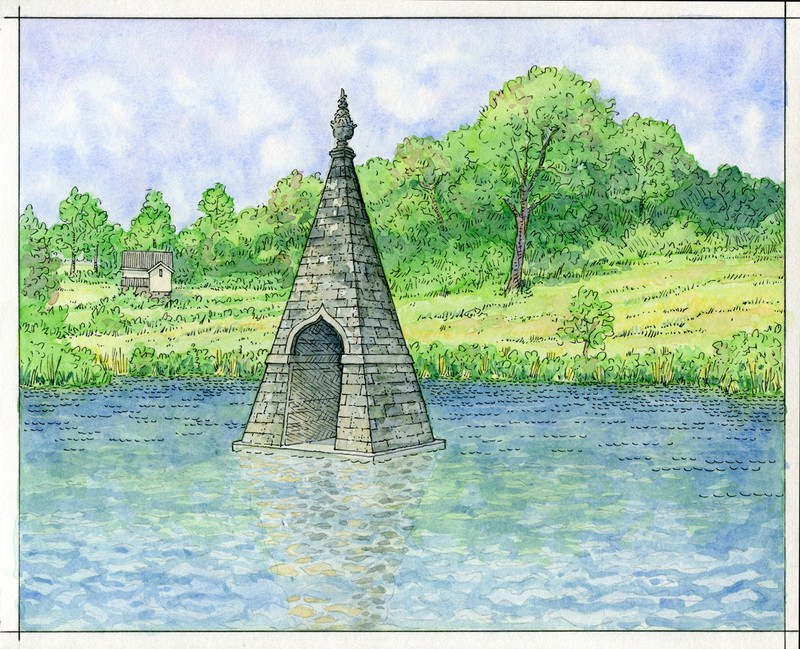 Lastly, the Needle’s Eye will be constructed off site and then “launched” into place in the front entrance pond closer to our exhibition opening. Blog updates will ensue as more gets underway and you can follow the progress on the Winterthur Facebook page as well as on Instagram @winterthurbloom. If you would like to add your own pictures of the follies—existing or new—to our Instagram, use #gardenfolly . We are very excited about this new opportunity for guests to see a familiar garden with new eyes!